Take a Word asked for BLUE and immediately it came to my mind the movie Blue Is The Warmest Color. 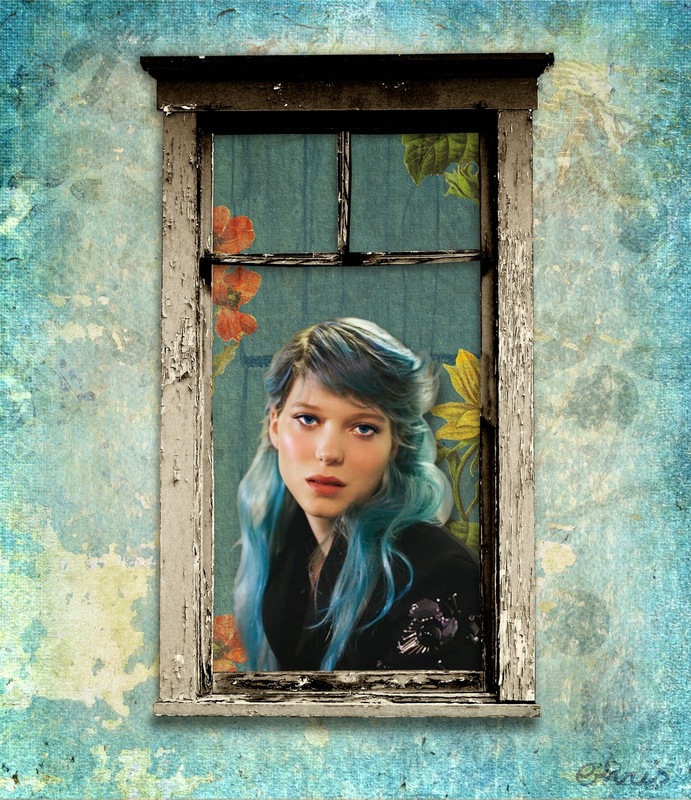 I couldn't help but use the photo of Léa Seydoux impersonating Emma. Background and elements: Studio Manu. She portrays her feelings perfectly, Christine, lovely piece! even her hair is blue... i like that! The pic you've done is very moving and soft, I love it. Beautifully illustrated blue mood. Like the window, too. This is sad but so beautiful! I think I need some blue hair. I love the grungy background, and the plaintive look on her face. Beautiful work, Chris! Oh magnificent. I like her hair also.